No one in any workplace should ever be invisible! As you travel trough your workplace don't be weary. Care, Listen, See, Talk and Give. 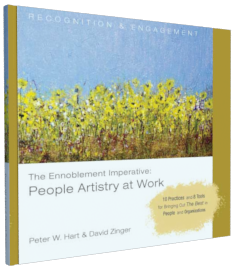 It is imperative that we ennoble others at work. 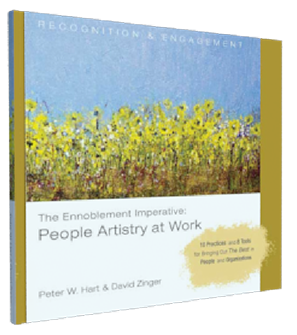 Even with all the measurement and attention paid to recognition and engagement many people feel diminished and depleted at work. 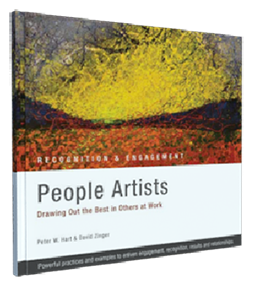 People Artistry represents a unique and humanistic response to this question. Its message is to find your own way of meaningfully and authentically connecting and building relationships with your employees. 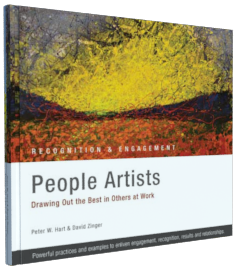 The examples and stories this book contains offer ideas and suggestions about how to make those meaningful connections and bring out the best in your employees (and maybe yourself along the way). Chief Executive Officer at Rideau Recognition Solutions and Acclaimed Artist and Owner of PeterWHart Gallery. Copyright © People Artistry 2015. All Rights Reserved.